Story time, AP English Literature Magooshers. So I was sipping my coffee this morning, wondering what to write about next. A little Googling later I came across an intriguing article: NEWS FLASH: AP English Literature is killing your love of reading. RIP Love of Reading. We hardly knew ye. If you’re taking AP English Literature and Composition (as I did some years ago), I have no doubt that there are a few reading assignments that you consider blah at best. There are other assignments that you DON’T GET AT ALL. That being said, I hope you understand the difference between reading for class and reading for enjoyment/personal fulfillment. No? Mr. B to the rescue! Over the next few paragraphs, I’ll teach you how to ‘read’ for AP English Literature. If your AP Literature teacher has gone over some (or all) of this with you, consider this article good review. There are also some jokes about raw chicken, Barbie’s boyfriend, and little boats. To start us off, here’s an analogy. You’re flipping through the channels one day, and you find a cooking show where celebrity chef Gordon Ramsay is teaching some hapless chefs how to break down a raw chicken. In less than a minute, Gordon turns said chicken into two breasts, two legs and two thighs. Every cut is precise, and no chicken bits are left over. The main skill when ‘reading’ in AP English Literature is very similar to breaking down a chicken. But instead of fowl, we’re talking about your reading assignments. Here’s what this all means: every new piece of literature is a mission to break it down into its characters, plot, historical context, literary devices, etc. Maybe you’re not a fast reader (that’s okay), but to analyze literature, you need to know how to break it down. How do you learn how to break down literature? Well, hopefully, you have a few skills from your last three years taking high school English. Also, here’s some oft said, but important advice: pay attention to what your teacher has to say. It’s likely that in the early weeks of AP English Literature, your teacher will be more hands on with his or her instruction. That means pointing out the different parts of the literature you read in class. If you pay attention, and ask questions when necessary, you should be able to fill up your ‘reading’ toolbox. With a little practice you’ll soon be able to break down everything from Things Fall Apart to Hamlet. Now, the style of reading I’ve talked about in this section is what the author of the linked article was railing against. I’m not going to lie: it’s tedious, and sometimes takes a lot of work. Yet it’s the kind of reading you need to know how to do if you want to succeed on the AP English Literature Exam. It’s also the kind of reading you need to know how to do if you ever want to become an author. Just sayin’. If you learn nothing else from this article, remember that everything you read for AP English Literature is raw chicken. So now that we have the nuts and bolts of ‘reading’ out of the way, I want to discuss some specifics that should help make AP English Literature a much smoother experience. There are two stories to everything you read in AP English Literature. For example, let’s consider Hemingway’s novel The Sun Also Rises. Yes, the story is about the lives of American ex-pats in Paris during the 1920s. They drink a lot, go fishing, see some bullfights, and the narrator has an unfortunate resemblance to a Ken doll. But the story is only half of it. 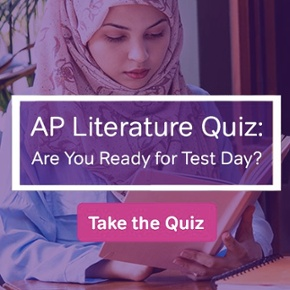 To successfully answer questions on the AP Exam (especially free response questions), you need to understand the historical context of the novel. In the case of The Sun Also Rises, the story and characters reflect Hemingway’s time living in Paris with other members of the Lost Generation yada yada yada. As your class explores new eras of literature, make sure to pack away a few historical details along with the literature itself. They will come in handy on the AP Exam. Trust me. Even though we know what Hemingway meant, there is still the all-important concept of Death of the Author. In short, we, as readers, have the authority to come to different conclusions about a piece of literature. 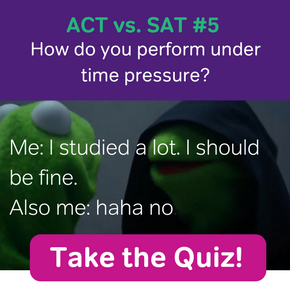 Your teacher (and the College Board) knows this. That’s why when you’re completing class assignments, it’s okay to form unique opinions just as long as you can back them up with textual evidence and sound reasoning. 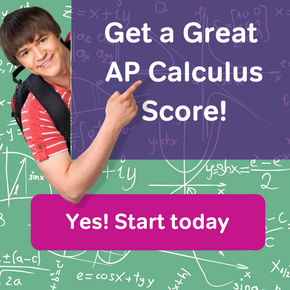 In fact, this skill will help you the most when it comes to Section II of the AP Exam. Lil’ Tuggy is on the lookout for icebergs.